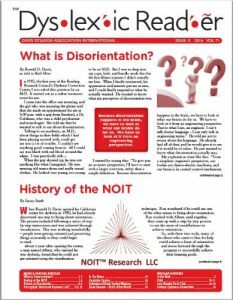 The Dyslexic Reader is published regularly by the Davis Dyslexia Association International, and contains news related to Davis programs, and articles of general interest to dyslexic individuals, their families, educators, and therapists. The newsletter is distributed in paper format to subscribers. Recent issues can also be purchased and downloaded in PDF format from our online store. You can also click here to register to receive our free email bulletin.